Also, one section of the sale that I feel gets over looked is definitely the home section. We all know there are incredible deals on clothing, but have you browsed the home goods section? There are so many cute throw pillows, blankets, decor, and items to stock your bar cart with! (Seriously there are so many cute glasses on there.. you have to check it out.) I rounded up some of my favorites below. Which is your favorite?! Great job!! Loved that leopard scarf sooo much and I wanted those lounge shorts in black but my size was sold out but I got the Hello Friday lounge sweater so I know how soft it is!!! Happy weekend! Great haul! That romper is so cute and I love that leopard print scarf! Those bar glasses and decanter are so fun! You cleaned house at the Nordstrom sale!! I am in love with that romper, the color is gorgeous! I love the world map canvas! Love all your home choices from the sale! 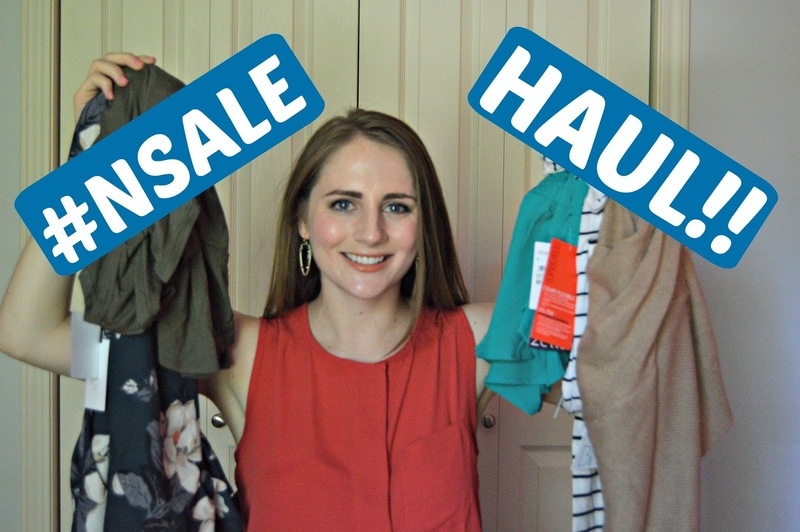 Going to check out your nsale haul now! That romper is too cute - love all the home picks too! I ADORREEEEE that stripped longer loose tunic shirt. I seriously am heading over to check that out myself. It looks so comfy. I hate when shorts aren't lined. Especially when you sweat, they are just sheer. UGH. That romper... great find. That looks perfect on you! That striped long shirt, SO CUTE on you! I definitely like that one better than the first one you showed! Also - that olive green shirt - you look so pretty in olive!! HOW did I miss that leopard scarf?! So cute! Love all of your picks, girl! Love love love all of it !!! Great picks ! 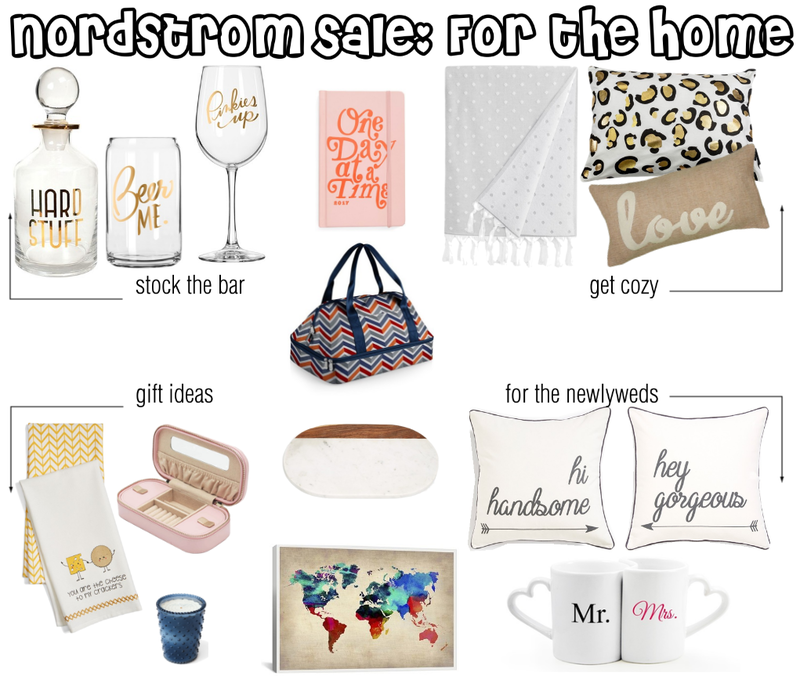 I'm kind of debating getting the Nordstrom card for the next sale because I feel like there's so many things that got sold out before I had the chance to grab them! You're so right that there were a ton of great things in the home section as well! I wanted a lot of those wine glasses so badly! So many cute things!! Cant wait to see how you style everything! So many great picks, I love the barware! I almost never remember to look at the home section, but there are so many cute things! So many great finds. I love that watercolor print. So beautiful! I love those home items you picked! And God, are you gorgeous! !